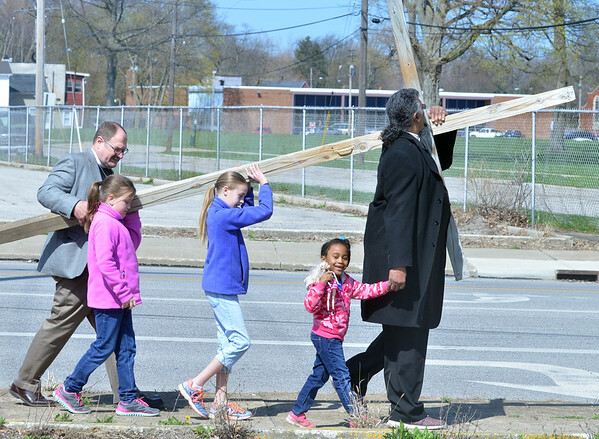 Leonard Pratt, of Peoples Baptist Church in Ashtabula, (far right) carries a cross with the help of Rev. 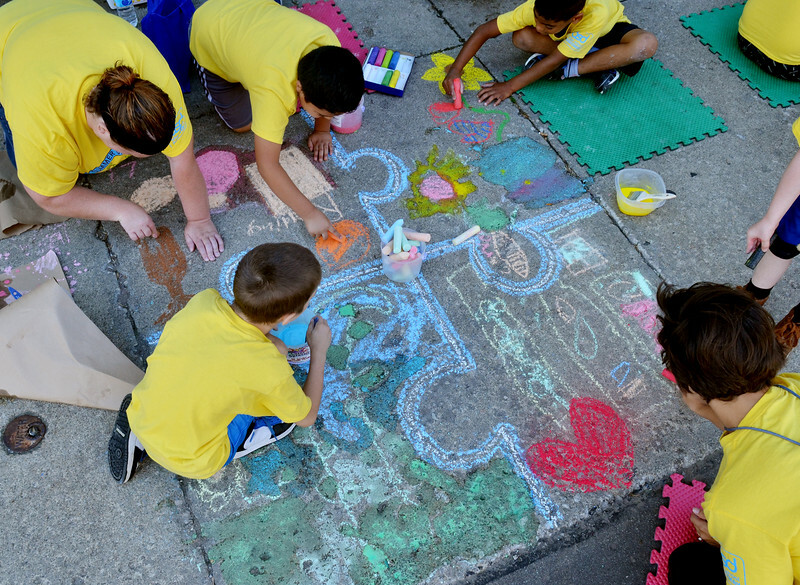 Peter Nielsen of St. Peter's Episcopal Church far left) and Nielsen's granddaughters Delaney (second from left) and Dylan, 11, Phelps, both of Connecticut while Pratt holds hands with granddaughter Adversity Campbell, 6. The event was sponsored by the Ashtabula Ministerium to remember what Christians believe to be the last hours of Christ's life before his crucifixion.